When Leokane Pryor comes back to town, so does a little piece of Hawai‘i. 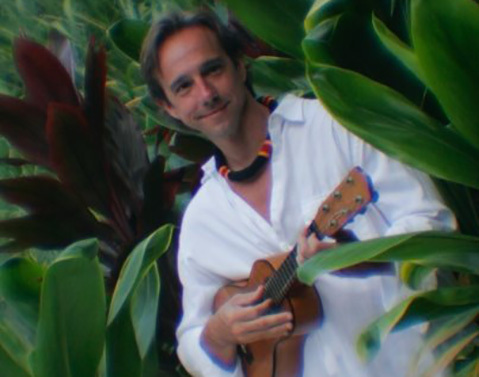 Pryor lived in Santa Barbara from 1998-2004, and while here he began his career in Hawaiian music. Life eventually took him, not surprisingly, to isolated and beautiful Hāna, Maui, where he continues to live and record songs that feature his ukulele playing and pure, gorgeous falsetto. Performers will include fellow singer and ukulele player CJ Helekahi. Pryor and Helekahi play on each other’s solo albums and in 2013 released a duet album called No Ka Pueo. “Our show is really the expression of he and I — two solo artists coming together and playing with music and really pairing,” Pryor said. They’ll be joined by Hāna-based bassist Boise Kawaiaea. Los Angeleno Jim Kimo West, will play an opening set of beautiful slack key kī hōʻalu music, including songs off his new CD Guitar Stories. Pryor was born and raised in the Mānoa Valley in the island of O’ahu, but his family had deep roots in the Hāna area, on the jungle-y northeast coast of Maui. His first release in 2000 received wide radio play in Hawai‘i, and in 2008, he released an homage to his Hāna home called Home Malanai, named after the area where he now lives. At SOhO, the band will play selections from both of Pryor and Helekahi’s solo albums, their duet album, and what Pryor calls “some surprises.” Their four-stop Southern California run is called the Songs of Hāna Maui tour because many of the songs will reference Hāna, one of the few still largely undeveloped areas in Hawai‘i. “We’re going to create a feeling of a Hāna backyard barbecue, very relaxed,” Pryor said.